Alumni stories — they're countless…fascinating, inspiring, moving. All different…but each revealing a glimpse of our common experience at St. Pius X High School. 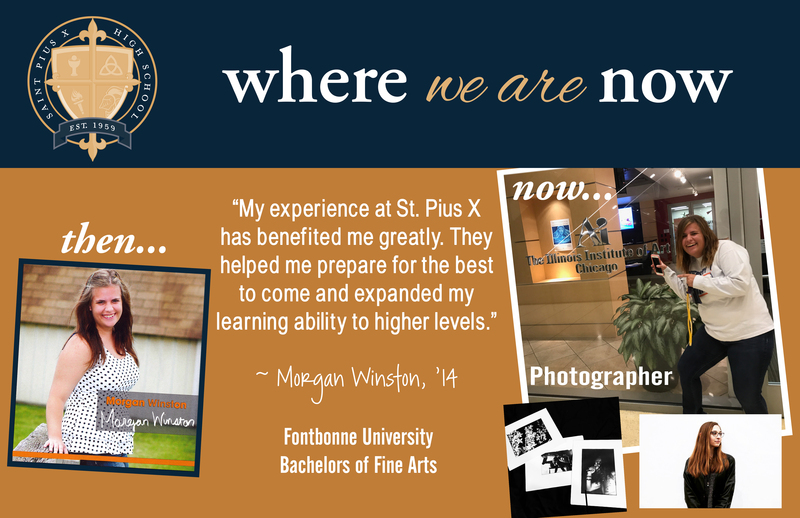 True to the rich tradition of Catholic education, St. Pius X provides a spiritual framework focused on faith, values, and service. Extraordinary. Inspiring. Diverse. Our alumni have some of the most fascinating stories to tell and we are always honored to share their accomplishments and achievements. Here we will feature a collection of their inspiring stories and reflections. Check back occasionally to see updated and new featured stories on our alumni and the impact SPX has had on their lives and the communities we serve. Read More Featured Alumni Stories here.